If you are in superior physical condition and enjoy hiking and backpacking maybe it’s time to test yourself with the sport of mountaineering. For novice climbers looking to gain confidence in the mountains, there are many places to go – some nearby and some exotic – where you won’t need a lot of experience. Your stamina will be critical, however, especially given the thin air at higher elevations. Climbing refers to any type of off-road human travel. If you’re someone who likes to hike up a good trail for the panoramic view, you’re already a climber. 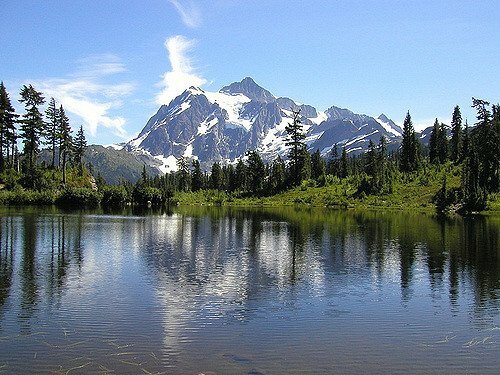 Mount Baker is a top training destination for beginning mountaineers with a manageable distance from the starting point to the summit. Mountaineering here is easier than on nearby Mount Rainier, mostly because Rainier is usually jam-packed with other climbers while Mount Baker feels more like a solitary walk through a gorgeous forest. 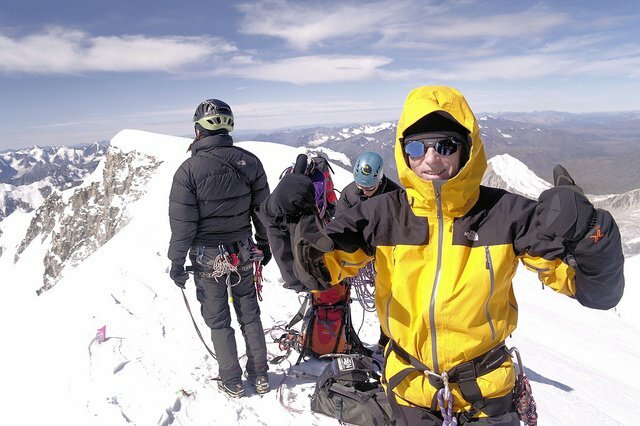 You won’t need a lot of experience but the guide service that organizes trips on the mountain (American Alpine Institute) provides a two-day training course you should take prior to your trip to the summit. That 10,781 foot volcanic summit is encased in an icy 12 glaciers. The climb takes a full day and you’ll need to start your ascent around 2 am. Rise and climb! At the western edge of the country bordering China and Russia, Mount Khuiten is in the Altai Range and stands as Mongolia’s tallest peak at 14,350 feet. For the less-experienced mountaineer who wants a challenge this mountain has few peers. 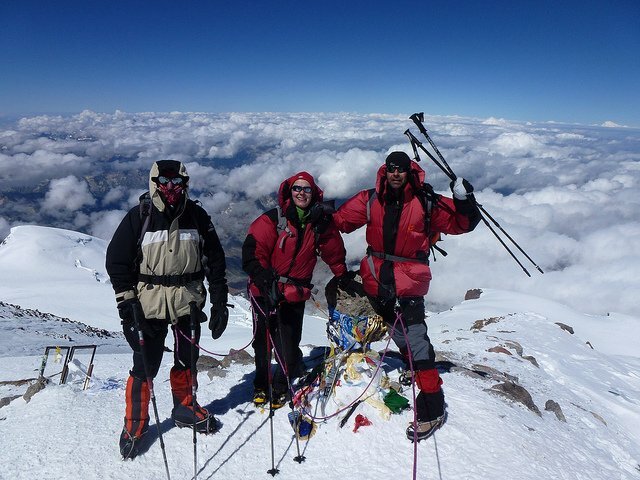 Expeditions last a week and beginners should take a multi-day introductory course from Alpine Ascents International before signing on for the climb. You’ll have some difficult obstacles ahead: up the barren Potanin Glacier before tackling the somewhat scary crevice-filled snow ridge that follows on to the summit. 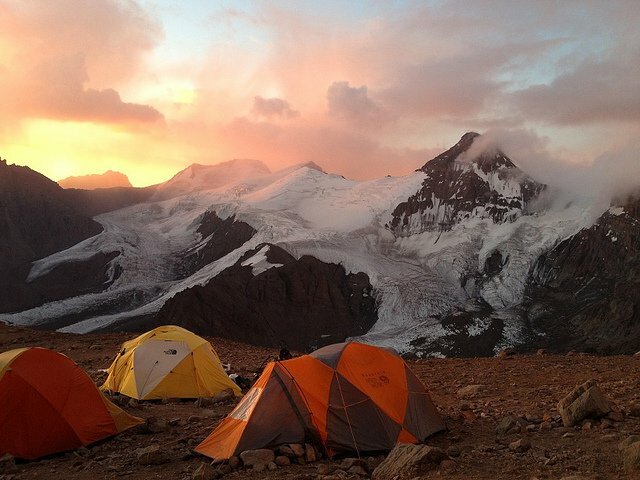 The world’s tallest mountain outside of the Himalayas, Aconcagua stands tall in the Andes at 22,840 feet and is a frequent choice for novice mountaineers. You can manage this climb if you have good elevation and backpacking experience – you’ll be hauling a lot of equipment on the approximately three week adventure. The going is slower because it takes time to properly acclimatize and the weather can sometimes be an issue. The slope is gradual but grueling from the trailhead at 9,000 feet to Camp #4 at 20,000 feet, before the final push to the top. Rainier Mountaineering is your guide for this journey. You’ll learn basic mountaineering elements during preliminary training sessions conducted by Mountain Madness before making the one or two day climb with weather determining the pace. At 18,500 feet Mount Elbrus is Europe’s tallest mountain with an ice cone layered with 22 glaciers. Ambitious beginners who can handle thin air should be easily able to manage the moderately steep climb. Soviet-era cable cars deliver climbers to the starting point at 12,500 feet elevation. If you are prepared and acclimatized you’ll deserve the bragging rights that come with conquering the twin-peaked western summit in Russia’s Caucasas mountains.